It's a Christmas tree to the Bone cousins, and a traditional tree that originated from the pagans and was used as a celebratory symbol for the crew of Atheia. 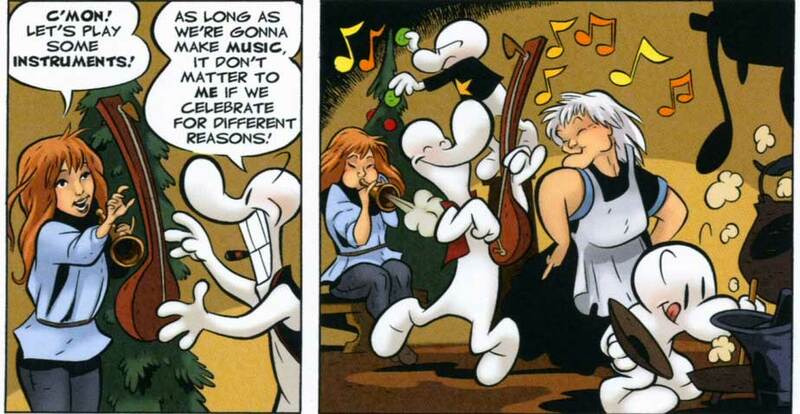 Jeff Smith shows that it doesn't really matter what you celebrate, so long as it means peaceful coexistence with your fellow humans. 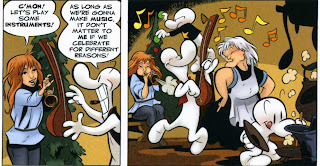 And Bones. Seven more days till Christmas!